Kelantan Fishery: Whale Shark Fishermen’s Friends. A group of fishermen in Tok Bali here find a whale shark species of ancient fish when it tried to enter the area near Kuala Besar island near Kota Bharu to seek protection from the threat of sea rough, Thursday night. Boat ‘tekong’, a citizen of Thailand, Ek Chai Suwanpong, 46, through an interpreter, Che Kob Che Senik, said that fish about seven meters long and weighing 20 tonnes was found nearly dead is believed to recede in the waters. Ek Chai then wrapped it with rope and then dragging by boat to Tok Bali as far as 20 nautical miles. “The Whale Shark is found when we also simultaneously seek protection in the course on the island from the threat of sea rough. But it was dead when pulled here,” he said when met at Pier 98, Tok Bali here. The owner of the boat Rodhi Mohd Saari, 36, said the discovery that the fish better known by the scientific name ‘Rhino-Typicus was first found and that provision is not expected. He said they intend to processed meat to be exported and marketed outside in Johor and Kelantan as factories for canned after dried. 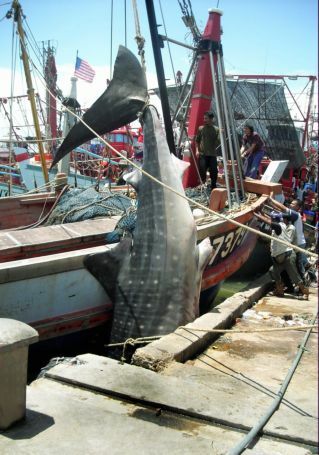 Fisheries Department spokesman when contacted said the shark belongs to the group of fish and aquatic threatened by extinction is the second heaviest fish after the blue whale. According to him, species that can reach a length up to more than 20 meters and lifespan can reach up to 70 years. He said the study marine science began to find this fish is found since 60 million years ago is ancient species rarely found in most of the seabed in the world today. 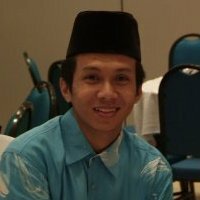 « Kelantan Medical Centre: HRPZ II in Chaotic.